Refiners including Exxon Mobil are raking in profits while producing less gasoline and diesel in the U.S. than usual for this time of year. They're also exporting more to foreign countries. With oil prices rising, that makes for sticker shock at the pump. Oil makes up about two-thirds of the cost of a gallon of gas, so expensive oil always turns into expensive fuel. But as for-profit entities, refiners use a variety of means to ensure that they keep as much of that windfall as possible. The nation's refineries are operating at about 81% of their production capacity, Energy Department statistics show. That compares with a 20-year historic average of about 89% for this time of year, according to department records. Part of that can be explained by the increasing use of ethanol, usually made from corn, which is added after gasoline is refined. Ethanol boosts fuel supply without increasing petroleum consumption just as adding crackers to meatloaf makes more dinner with less beef. A bigger factor, some experts say, is refiners' business strategy: Having only recently returned to strong profits and leery of potential erosion in consumption, the companies are playing it cautiously. "They aren't going to try to match production to demand. You aren't going to see anyone running full out right now," said Brian L. Milne, refined-fuels editor for Telvent DTN, which provides commodity price information to businesses. And here's another piece to the fuel-price puzzle: Refiners are exporting large amounts of gasoline and diesel to foreign buyers willing to pay a premium. Demand for refined products such as gasoline is expected to go back into decline in the U.S. by the end of 2011 because of increased use of alternative fuels, among other things, so refinery companies are looking to broaden their reach with new customers overseas, particularly with diesel fuel. "U.S. refineries have been sending 15% to 20% of their production overseas for about a year now," said Andrew Lipow, president of consulting firm Lipow Oil Associates in Houston. "Demand for diesel is strong in Central America and South America and Europe and other parts of the world." That's more than double the rate of exports in 2007, he said. Valero Energy Corp., the nation's biggest independent oil refiner, had "record exports coming from the United States" during the last three months of 2010, Chief Executive Bill Klesse recently told investors and analysts. The San Antonio company's export pace declined somewhat this year because of refinery maintenance. "We send diesel fuel to South America. We've been sending gasoline to Latin American countries. So there's a lot of change that's happened in this business," Klesse said. In the first quarter, Valero earned $98 million, reversing a year-earlier loss of $113 million. Energy companies say fuel prices are determined by supply, demand and competition, and that the main culprit for the current run-up is crude prices, which rose more than 30% in the last year because of conflicts in North Africa and the Middle East as well as strengthening world economies. 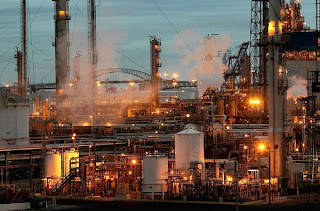 The American Petroleum Institute, the oil company trade group, said its own statistics showed that refiners are doing their job, delivering 4% more gasoline in the first quarter than in the same period last year. "We are moving more product than last year and supporting the economic recovery," said Rayola Dougher, the group's senior economic advisor. "The refinery sector is more than keeping pace with that." At the same time, Energy Department data show a drawdown of more than 18 million barrels in the nation's gasoline stocks this year to 205.6 million barrels, including a drop of 2.5 million barrels in the most recent week. Valero spokesman Bill Day said production levels are a straightforward matter of supply and demand, and currently U.S. demand is constrained by the pace of the economic recovery. "Demand in the U.S. is beginning to recover, but it's not recovering strongly," Day said. This year, oil prices have been on a tear much as in 2008, boosting oil company profits and fuel prices. That was when retail gasoline reached a record average of $4.114 a gallon nationally and $4.588 in California. Averages this month have been higher than for any April since the Energy Department began tracking weekly fuel data in 1990. The refinery industry "has made a comeback, absolutely," said Fadel Gheit, senior energy analyst for Oppenheimer & Co., noting that refining stocks gained 50% last year and have since maintained a similar trajectory. But refinery profits can be precarious, he said, and may be squeezed if consumers balk at paying high fuel prices. "This is not a golden age for refining," Gheit said. "This will come to an end." As recently as 2007, industry executives thought that they were in such a golden age, when U.S. demand looked to be on a constantly rising curve. But after 2008's record fuel prices and the recession reduced fuel consumption, energy companies changed their tactics. They are shedding capacity in the U.S. through refinery sales. 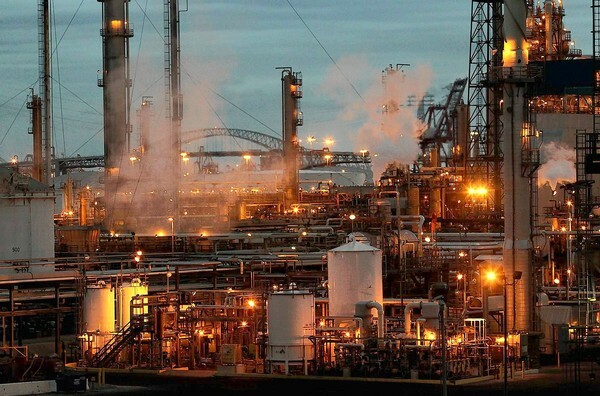 Investments in their U.S. refineries are geared around equipment upgrades, not expansion. And when they do talk about increasing production to meet rising demand, they mean overseas, not in the U.S., and they mean making more diesel, not gasoline. "These companies see their future earnings growth overseas, not in the U.S., where demand is still rather flat," Lipow said. For motorists, the proof is at the pump. Los Angeles resident James Fong said he was bothered by growing oil company earnings even though he owns two of the most fuel-efficient cars around: a 2001 Honda Insight and a 2010 Toyota Prius. "I look at other people and see that they are only getting half a tank of gas because that is all they can afford," said the 54-year-old AT&T systems technician. "It's not good for us, but they are going to do whatever they can to make the money." "I wish," Fong said, "I was in the oil business."